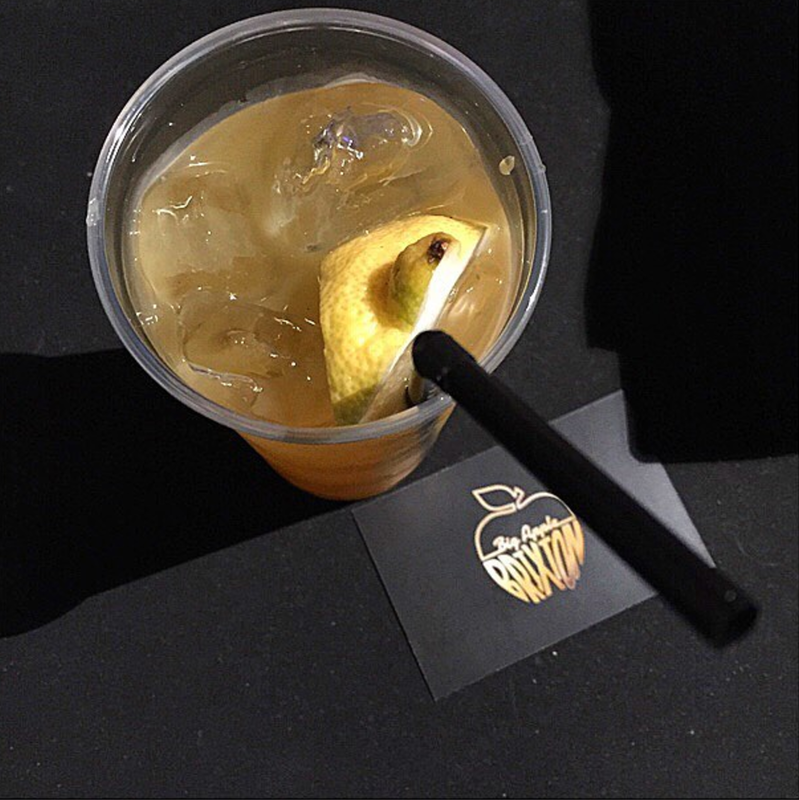 Big Apple Brixton (formally known as the pop up 'Brixton Beach Boulevard'), is conveniently located right next to the railway station and just a short walk away from the underground. At the entrance you're greeted by a Huge Mural, so you definitely won't be able to miss it. Big Apple Brixton is set on a rooftop, you get the feeling that you've been transported into New York circa 1970s. Once inside you'll find yourself in a New York City Street, complete with 5 bars, 4 food vendors, themed rooms and a club called Le Freak. On the opening night, break dancers took to the stage and showed us a good time. Flexing and spinning showing off their b-boying skills in an etched breakdance battle - this was a lot of fun and got the crowd going for sure! The Le Freak club wasn’t opened on the night I visited but promises a full Studio 54-esque experience. The main bar - the Brixton Apollo offers a wide selection of beers, ciders, mulled wine and cocktails. Although on first taste, the cocktails are too sweet - so you may need to ask the bartender to water it down with more spirit so that the balance is right. I chose the Spiced Mai Tai which packed a serious punch, whilst my friend opted for the Long Island iced tea. There are 4 themed rooms which are super cool: A Barber Shop, Record Store, Peep Show & Chapel. Each room stuck to their theme very well (They really hit the nail on the head). On the launch night, these were opened for us to have a look inside and chill out in. On a normal night, these themed rooms are exclusive for private parties only and would need to be booked way in advance. These rooms would be the perfect fit for a birthday party or girls/boys night out hidden away from the crowd. As a part of the makeover, the venue is now covered by a massive tent - so you don’t need to worry about getting wet, but I'll definitely say you still need to wrap up warm on those colder evenings/nights. They had a good selection of burgers to choose from - I liked the sound of the Grizzly Bear and Angry Bear, so I asked for them to be combined for my order. It was a towering patty burger with bacon, cheese and relish, it was fairly messy but hell it tasted as good as it looked! It was pretty succulent and juicy, as you had a heat from the #HolyF**k hot sauce yet the sweetness from the bacon jam. 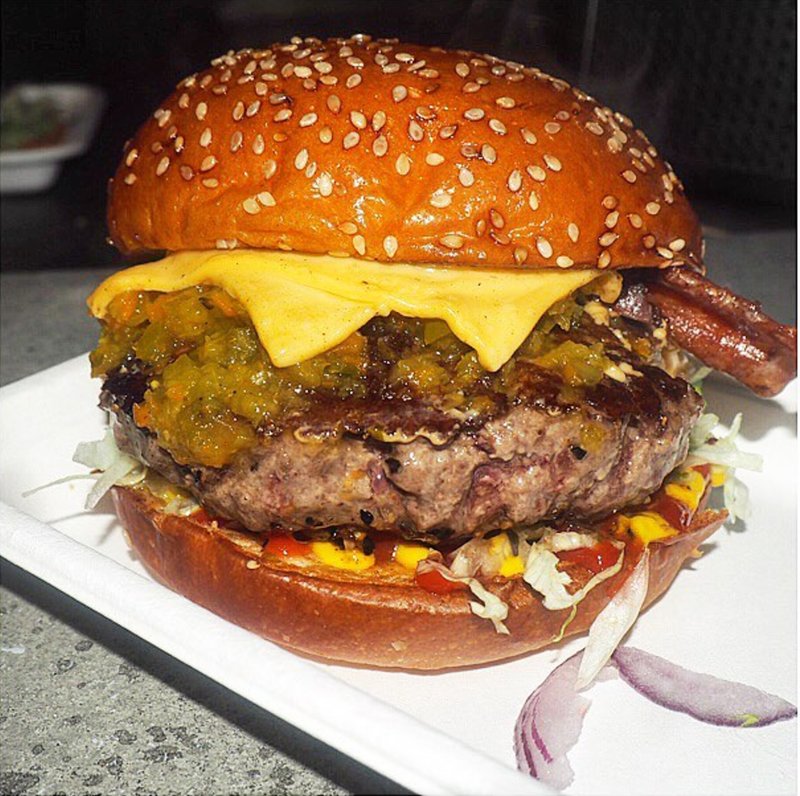 It was finger licking good, if you are going to BIG APPLE BRIXTON, you need to try this BURGER!! The music and entertainment seemed to be the big thing here. 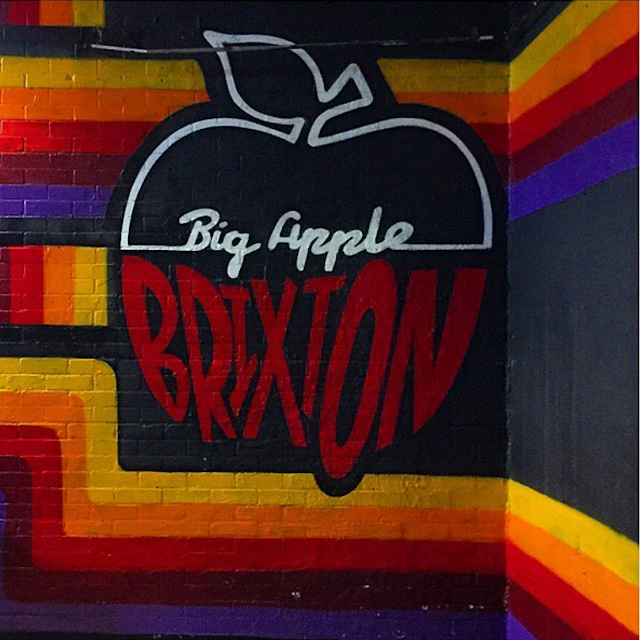 Big Apple Brixton plays host to day and night parties, playing the best in 80's music, Funk & Soul, Hip Hop/RnB and House Music. I would definitely recommend checking it out. Take your crew and get on down to boogie to Big Apple Brixton!